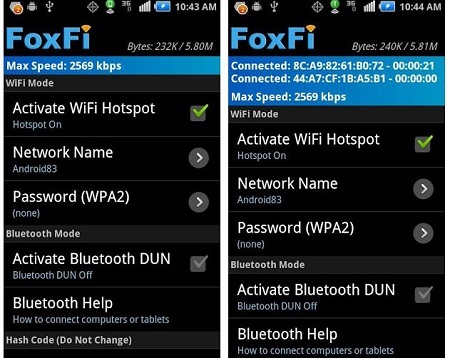 FoxFi allows you to turn your Android device into a WiFi hotspot. It doesn’t require you to have root access on the device. The application is having the excellent user interface with quick start guide that provides you fast tethering speeds. However, due to high pressure from mobile data and various updates, the WiFi mode is now limited to some devices. Let’s have a look how to fix when FoxFi not working. Users with unlimited and high-speed data can use this app to create WiFi hotspots and allow their family and friends to connect through the tablets, laptops, etc. Till now, Verizon doesn’t allow FoxFi’s connections on devices running the latest version of Android Nougat. The updates block FoxFi’s WiFi tether and Bluetooth tether in some cases. Android Nougat has made things a lot trickier. Also, it has removed user control over the security certificates. But the good news about the tethering is that it is mainly unaffected by the changes brought along with Android Nougat. Further, using USB tethering doesn’t fix your problem then downgrading to Marshmallow is the only option if you wish to continue using FoxFi. The problem is that the process may have the significant differences for each manufacturer. American careers such as Sprint, Verizon or T-Mobile don’t want to use their data plan on other devices. That is why they block the option of WiFi Hotspot even though Android has this feature. Further, for more information FoxFi Not Working, you can navigate to our website APKPie.